I opted to burn the old rubber bushings out of all the suspension links (my neighbors really appreciated that one), and then all of the suspension pieces were powder coated. I didn’t realize that you need to remove a thin metal sleeve from each end of the links before you can install the new poly bushings so I used a hack saw to cut through them so they could be pressed out. Without using a saw, they were impossible to press out using my shop vice so this was the only way outside of using a 12 ton shop press. After the metal sleeves were out, the poly bushings only took a few seconds to squeeze in. Overall a pretty easy job! 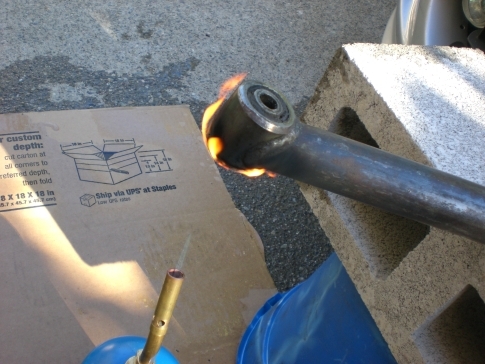 Buring out the old bushings, which takes about 5 minutes per side. Lots of smoke. 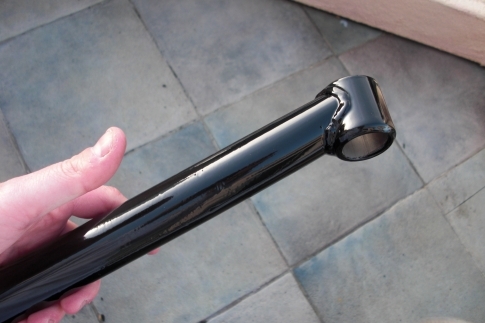 The rear links after being powder coatedm minus the bushings. The rear links with the new poly bushings, done and ready to install. The wheels on my S1 Lotus Esprit were painted at the factory to match the color of the car, so after stripping the paint from the wheels, the aluminum material underneath was in excellent shape. I took an orbital brass wire brush to the back of the wheels to remove the old brake dust, and cleaned the recesses where the center caps snap in. I had the choice of either polishing the wheels or having them turned on a lathe (lathe is how they were produced originally). I opted to polish the wheels, but after many failed attempts trying to do it myself I decided to leave it to a professional. 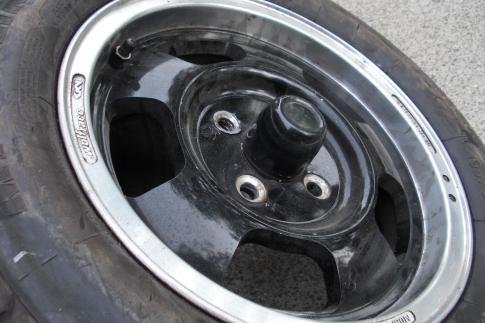 After the wheels came back, I primed and painted the inside of the spokes flat black. 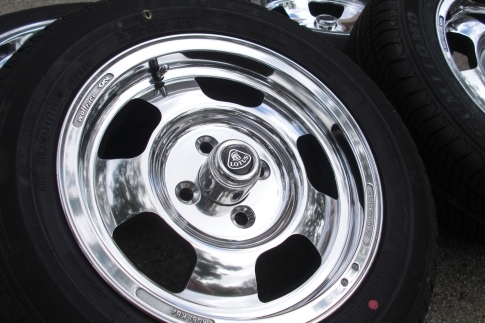 The difference is significant in making the aluminum finish on the wheel faces stand out more. I purchased a set of aftermarket Wolfrace center caps as my originals were all destroyed. I picked up the best set of tires available in the United States (highest quality and speed rating), which happened to have a remotely similar tread pattern as the originals. 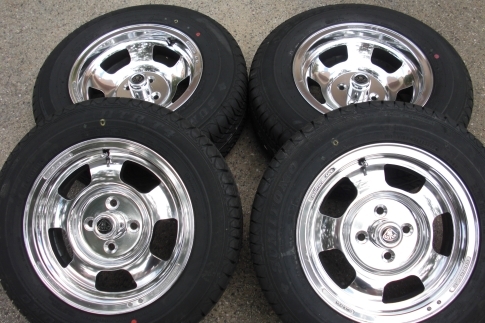 My wheel nuts were in bad shape so I purchased a new set, as well as the aluminum insert washers. The last step was to attach the center cap stickers. In all I expected to spend only a few hundred dollars restoring the wheels and ended up spending several multiples of that. It was one of the unexpected big costs of the restoration, but necessary as the Wolfrace wheels are such a vibrant element of the S1 Lotus Esprit. 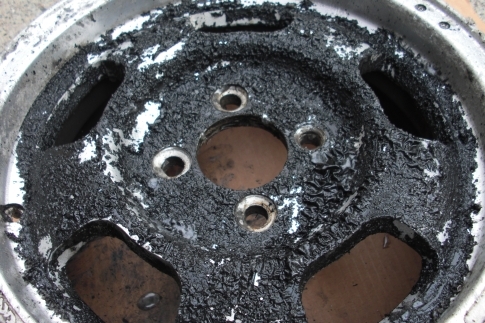 What the Wolfrace wheels looked like after removing them from the car. Removing the old paint to reveal a dull aluminum finish underneath. 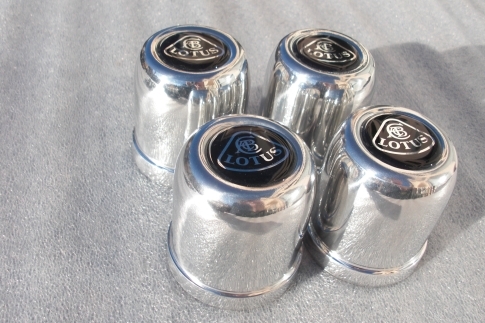 dust interfered with the polishing process. 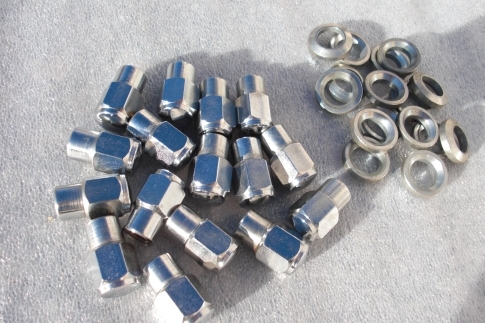 I purchased new wheel nuts and seating washers. The aftermarket Wolfrace wheel center caps and Lotus decals. 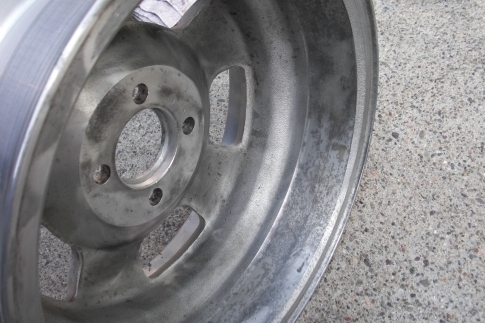 What the wheels looked like after being polished. Tyres mounted and balanced and ready to go. Job done!